We gave Genevieve - challenge and she exceeded expectations! We told her we have already seen most of the major sites and also wanted a focus on food. She showed us some awesome and delicious hidden spots that we had missed and walked right past. She also tied it to the history and art of the city (such as showing us the paining on her phone for the street we were on). Just book a full day! Even if you researched everything, you wouldn't able to spot all the hidden things or efficiently bus hop. Want to know Paris. And it's markets. She's awesome. We thoroughly enjoyed our tour with Genevieve in Reims. She had a very thorough knowledge of the area, including history of the city, and different options for our tours. Her relationship with some of the smaller family owned vineyards added a nice touch to the different options that you may have never heard of before in the states. She was also helpful in telling us about other things to do and see doing our stay in Paris, and offered us maps and notes on sights to see and restaurants to try. Genevieve was fantastic. Her English was perfect, she was right on time to meet us and took us all over. We saw everything and she was super fun as well. She has a great personality and would recommend her to all! She even gave us fantastic recommendations for dinner. Trip was a 10! What a magnificent tour with the beautiful one, Genevieve! My family would have never seen the beautiful sites and hidden gems without her. Geneviève is lovely both inside and out. My elderly mother felt very comfortable with Geneviève ... she was so attentive to my mother and made sure that we all had a wonderful experience. My nephew said that we should have booked more tours with her. This was our first time to Paris and Geneviève made our trip delightfully memorable! Genevieve made the day special at every corner. She has insiders access to amazing places (eg. haute couture studio) and is encyclopedic in her knowledge of Paris (present and history). Personally, she's an absolute delight, even helping solve my picky Californian eating preferences at lunch. The day after our tour, I felt a little less like a tourist! My experience of Paris going forward will forever be more fun and meaningful. We strongly recommend using Genevieve. She's extremely a knowledgeable and likable host who will expertly guide you through the evening. It was easy to do, and seeing Paris at night truly is different! We had a wonderful experience with Geneivieve for 4 hours. She was informative, took us off the beaten track and showed us bits of Paris we would never had had access to without a local who knew it all. She is so positive and full of energy and time with her flew. Thank you to her! We enjoyed our whirlwind tour where in four hours we pretty much saw a little of everything and the key sights. We also learned how to get around the city. A great start for us on our first day so we can plan the rest of our stay here. Geneviève has a lot of knowledge and energy! Thank you for an unbelievable tour today with Genevieve in Paris. She was one of the best tour operators ever. I had a wonderful time. Great time! Well worth the $$. !! Really enjoyed our tour. She really got our first day in Paris off to a great start. Genevieve brings Paris to life! Her knowledge of the city and its history is amazing, as is her energy, as she introduces you to of past personalities, the magnificent architecture, and wonderful sights both well-known (Montmartre) and obscure (Lafayette Maison et Gourmet). This is a great tour to see yourself in Paris the first time there, to decide what to explore in more depth later. She knows also knows the public transportation network well, so you'll be moving all over the city very quickly! We only had 24 hours in Paris so we knew we needed help to see as much as possible. Genevieve was a wonderful tour guide. From navigating the metro, to helping us avoid long lines, to translating our lunch order to our server... she did it all and more. She also was a wonderful photographer along the way! We saw so much of the city in a short period of time. We were very satisfied with our decision to hire Genevieve. We would highly recommend her to anyone looking for a guide. We had exactly 1 day in Paris and struggled to figure out what to do. Genevieve was awesome. She met us at and dropped us off at the train station and we had a 6 hour sprint through the best of Paris. Her knowledge, ability to manage the transportation aspect most efficiently, friendliness was unsurpassed. I find it difficult to imagine any other means of spending 1 day here. She was perfect. Thanks! My tour with Genevieve was fantastic! She is incredibly knowledgable and shared a great deal of interesting information about every place we visited. She knew all the interesting shops, streets, and landmarks to show me and gave me recommendations for the best bakeries and patisseries along with specific things to try in each. She even showed me affordable clothing shops and just whisked me about from place to place in the best fashion. She is great fun and I had a lovely afternoon with her. Thank you!! We very much enjoyed our tour of the Paris markets with Genevieve. She was very knowledgeable about the markets and showed us many areas of the city along the way. We also participated in a cooking class chosen for us by Genevieve which we also enjoyed. Excellent tour of Reims and the Champagne region. We especially enjoyed going to a family run winery that produces outstanding champagne and would not have known to go there were it not for Genevieve. Genevieve is a knowledgeable and hardworking guide and we very much enjoyed our day with her. Genieve was an awesome tour guide and really knew Paris! She's also a great photographer! I thoroughly enjoyed her tour and love of Paris!!! Can't wait to have her take me on another tour when I'm back in Paris. Merci beaucoup!!!! Genevieve gave us a wonderful tour of Paris. She is extremely knowledgeable, and such a nice person. We are very happy that she was our guide. Merci beaucoup! Genevieve did custom tours of Paris for my wife and me, we are over 70 and I have a bad hip so we were concerned about how much walking we could do. Genevieve modified for us and was excellent as a friendly and knowledgeable guide of Paris. I cannot believe how much fascinating information she shared with us on the local neighborhoods and the wonderful shops and places to eat or drink. She is a true 5 Star Guide!! Genevieve is a wonderful guide. Extremely knowledgeable of Paris. Very helpful to my wife and me in showing us how to use the metro and bus system on our own for the remainder of our visit. Helped us get train tickets for a day trip to Monet's home and made sure we knew how to use the train and where to be at what time. She has so much information on the local neighborhoods we would never have known about that are now t on the regular tour lists or in the tour books. Hands down the best tour I have had from Tours By Locals! We have done many tours with this company (in multiple countries), all of which have been fantastic, but Genevieve was by far our favorite! She tailored the tour of Paris to our specific desires, and remained flexible throughout the tour to make sure my husband and 12 year-old niece were equally engaged. She also served as photographer for our niece, who loved the tour as much as we did! If you want a great tour of Paris, try to get Genevieve!! Genevieve was a great guide. The walking tour route selected was terrific. Genevieve's knowledge and the way it was presented gave us a wonderful experience. To top it off, Genevieve also volunteered and took photographs of us as a couple. We recommend Genevieve to our friends. AMAZING tour! So sorry we didn't do this on our first trip to Paris. Plus Genevieve went above and beyond. She went with us to the train station to pick up our rental car. When we found out we needed our passports to get the car she went with my husband to our hotel, came back t9 the rental car place and made sure we drive safely to our hotel. If I lived here, she would be my best friend! On this tour Genevieve took us around our new neighborhood, the Marais district of Paris, so we could get the lay of the land. We walked all around while she pointed out various places to eat, drink, get groceries and which stores and shops she likes. It was a great way to start our time in Paris. Genevieve was right on time and a pleasure to be around. She engaged and interacted wonderfully with both adults and teenagers. At the end of the first day we were excited about our tour the following day. Genevieve was lovely and a great way to start our holiday in Paris. She gave us a good insight into the local area, pointing out great places to eat and shop. Good to have a local's viewpoint to help us around their city. Genevieve was wonderful. She was patient with us and answered all of our questions. She kept our girls 9 and 14 entertained and showed us many wonderful things about Paris. We were able to utilize all of our time in Paris more efficiently thanks to everything we learned from her. I definitely recommend using her on the first day of your trip if possible. I cant not say enough good things about her. We had already done the Paris Main Monuments tour with Genevieve and it was such a pleasure that we wanted to continue exploring & learning about Paris with her. We could have easily spent another day with her but the only availability was this single 2 hour block. It was great. 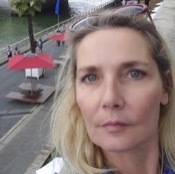 Genevieve is very knowledgable and is the perfect guide for a "Customize your own private Paris tour" . She is an expert at navigating all the public transportation options and maximizing the tour time. Genevieve was GREAT! It was almost like having a family member guiding us. She easily related to two teenagers. Unfortunately, I was disappointed in our tour with Genevieve. She seemed rushed and was working with clients via her phone on a tour that was scheduled to follow ours. I expected something more inspirational and a little exciting, it was neither. Too much money for what we got. Genevieve and her driver David set the tone for our trip and gave us an incredible overview of Paris. She is knowledgeable, fun, funny, and makes sure that you get to see what you want. I emailed that we had some difficulty walking so she got a car for us rather than a van, she took incredible pictures of us at the most amazing places, and she gave us great ideas for the rest of our stay. David has nerves of steel driving around the city! This was a wonderful experience. Thank you! Genevieve guided us with our 15 year old grandson for what was supposed to be a 2 1/2 hour tour of Paris, but actually was much longer. She was informative, fun, able to maintain Ben's interest, and doubled as our photographer at all the stops we made with her. In short, she was perfect! A great intro to Paris on our first full day in the city. She gets two thumbs up from us! Genevieve and I covered a lot of ground in my full day tour of Paris with her. I have a depth perception vision handicap which makes curbs and stairs difficult (I don't see the step up/down). Once I made Genevieve aware of this, she was super conscientious about making sure I was aware of possible hazards - and that was quite a job in itself since we were on foot, metro and bus during our day together! I enjoyed our day and the time flew by. Brilliant, pleased to unreservedly recommend her as a guide! 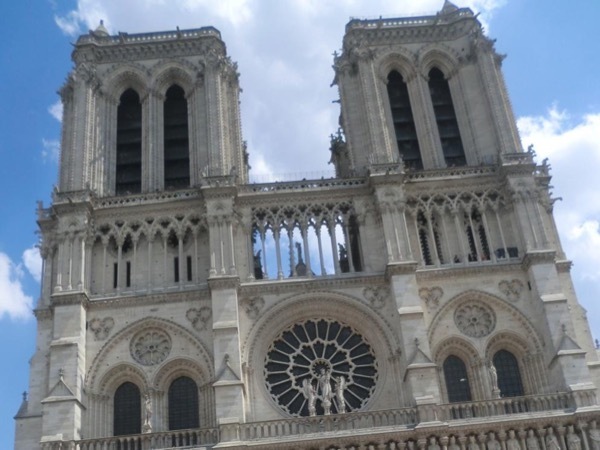 This was the best way for my daughter and I to see and truly experience Paris, seeing both the iconic sights, as well as walking through side streets and quaint neighborhoods to enjoying fine dining with locals. In no time she understood our objectives, interests, and expectations for our visit, and she wasted no time deliverying it to us with a bow on :-) Genevieve is the best! Genevieve was incredible. We had booked the tour for Montmartre and she met us at the apartment we were renting in Le Marais. She told us what an incredible part of the city this was and proceeded (with our permission) to take us on a walking tour of Le Marais. If it wasn't for Genevieve, we would been unaware of all Le Marais has to offer. Following this, we went to Montmartre and had an abbreviated but wonderful tour. This was a little too rushed for our liking. But Genevieve is very energetic and very nice person. I took my 72-year old mother, and it was too overwhelming and fast for her. It would be wonderful introductory tour for only younger people. It is also a very basic tour. She is lovely and a delight to be with. It just was not the right tour for us. As they say.... all good things come to end. It was with sadness that we had to say goodbye to Genevieve after having her share so much of Paris with us. Her warmth and spontaneity and knowledge means that we will refer her to many. U need not worry if she is up to the task. You will not regret choosing her guiding services and warm company. Genevieve was extremely knowledgeable as she took us around the Opera and Montmarte areas of Paris, as well as a short stint in Marias. She took us places we would have never found on our own, as well as supplementing the tour with information and antedotes that made for a thoroughly enjoyable day. Genevieve was a great tour guide. She picked us up at the airport on time. We enjoyed the overview of Paris, the help with tickets, and restaurant suggestions and reservations. She did a great job! I would highly recommend her. I had a great time with Genevieve. She took me to see the little gems of Paris. She also took amazing photos with my phone; which was very nice to have pics of myself since I was traveling alone. No selfie stick was needed. I was able to get everything I wanted without having to over spend. It was like a day of shopping with mom. Genevieve is very pleasant and knows so much history of France. She was able to give history about every neighborhood we visited. Book her. You will enjoy it. What an AMAZING way to end our trip to Paris!! Genevieve asked us (ages 44,15, & 13) some initial questions and we were off and running. She seemed to know exactly where to take us and where to go from there. I've been to Paris 5 times before and she showed me things I'd never known about. The cooking class was a great experience for all of us. My nephew (13) enjoyed the food tour as much as, if not more than, the D-Day tour he requested. I highly recommend Genevieve. We will tour with her again. G. was an amazing woman who was highly energetic in her approach to describing the various geographical features of Paris. I was amazed at how fast time flowed from our initial lunch at an upper echelon bistro to our intended destination of the Eiffel Tower. Overall, I would recommend her to anyone who wants to feel the true seductive nature of Paris. Great tour with an energetic and fun guide. I'm glad we did the tour and would enthusiastically recommend Genevieve! Great tour, just got into Paris and took and private walking tour. Went by all the major sites. Our tour guide was very knowledgable. Perfect introduction to Paris. Gave us great ideas on restaurants and things to do for the rest of our trip. Also the most important, went over details of the metro and bus system. Now I feel as though I can go anywhere within the city. Perfect first day in Paris. Genevieve is amazing. Paris is amazing. Paris and Genevieve together is even more amazing. We had such fun with her while also learning Parisian history and customs. If you are a first timer to Paris, and you want a solid and fun indoctrination of the City, Genevieve is your guide. We will absolutely engage Genevieve on our next trip to Paris. Genevieve was wonderful! She was prompt when she met us at our hotel. We saw so much in the two hours with ample photo opportunities. This being our first day in Paris, her tour was a great way to get acclimated and helped us decide where we wanted to spend more time including restaurants. We felt like we met a new friend. Merci Genevieve! Genevieve is fantastic. This is our second time touring with her. Her knowledge of the best places to shop and eat in Paris is unparalleled. We loved the cooking class. My 14 year old nephew said that it was the best tour he has ever done. 5 stars! Genevieve met us at our hotel to conduct a tour of the flea market. She took us by Metro, organised our tickets and explained the history and then took us all around. It is huge and fascinating. There were vintage clothes, handbags, records, memorabilia and collectables of every description. We had a light lunch and continued in the afternoon. We spent more time than the allocated 3 hours. It was great fun and thoroughly recommended. Absolutely divine time, what a wonderful person and guide. A knowledgeable, friendly guide who even helped push our stroller and wrangle our bags as we encouraged our four year old to walk along. Was a great morning in Paris. We were delighted with the tour that your guide, Geneviève R., gave us of Montmartre yesterday. It was superb because of her shared wealth of information, congeniality, great communication skills, and dedication to her work. She definitely went above and beyond in introducing us to this lovely quartier. And her warm, engaging personality made our experience very memorable. In sum, bravo to Geneviève! 5 out of 5 stars! Our tour with Genevieve was perfect. Fun, interesting and my daughter thought Genevieve was wonderful. Would recommend 100pct. It was a very interesting tour with real local details we would never learn. Highly recommendable! !